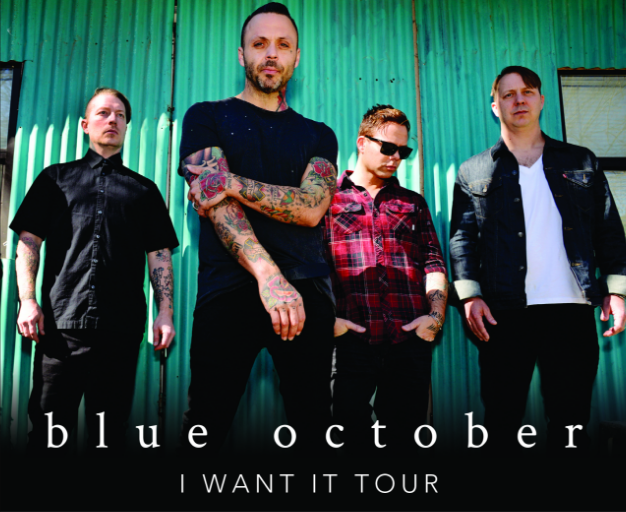 Blue October’s angst-drenched rock has continued to evolve and sell tickets ever since the band’s 1995 start in Houston, TX. Over the course of nearly two decades and seven studio albums, frontman Justin Furstenfeld has channeled his own emotional battles and life lessons into anthemic hit songs like “Hate Me” and “Into The Ocean." The band’s discography reflects the arc brought on by age, with ends of the spectrum being the 1998 debut “The Answers,” clouded by 20-something depression and suicidal thoughts, and the 2013 release “Sway,” a more confident, empowering real-life concept album written after his bipolar diagnosis and an unsettling divorce. The Texas outfit, which earned the honor of opening for the Rolling Stones in the height of their 2006 platinum-selling “Foiled” push, have since managed everything from sold-out theater concerts to an intimate acoustic tour. Alt-rock fans are devoted to the group's smart combination of indie rock and orchestral melancholy.